2013 Winter Special: Book 3 nights and receive the 4th night free! Style, comfort, atmosphere, and facilities. 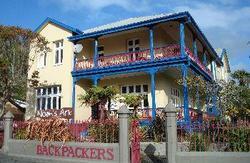 First choice Greymouth Hostel for both Lonely Planet and Rough Guide. We enjoy a beautiful riverside setting, just a two minute drive (or ten minute walk) from the centre of town and a two minute drive to our rugged west coast beach. 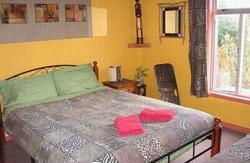 Doubles, twins, singles, as well as shared dormitories are available to book. All rooms have fully made-up beds with fresh linen and cozy duvets and are beautifully decorated with a Global Art theme. 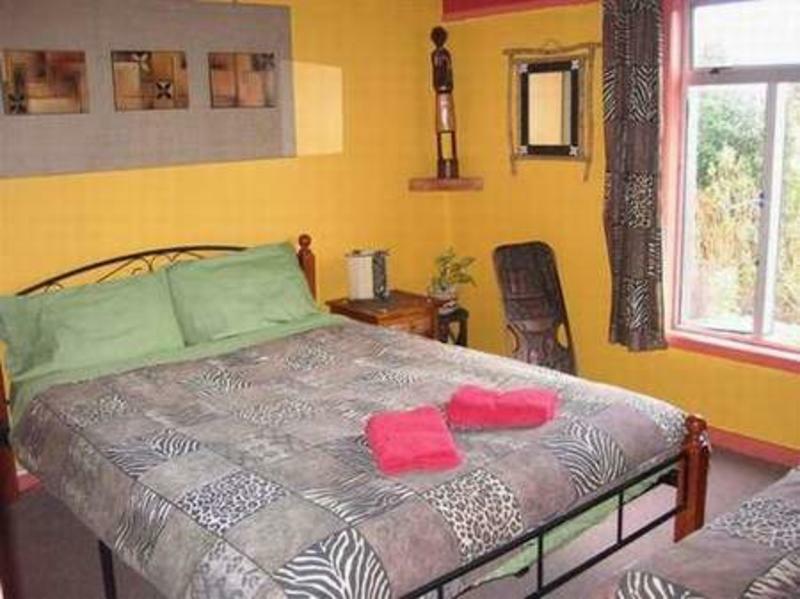 There is full central heating provided throughout the hostel. We have a separate TV lounge with extensive (free) movie collection and lots of quiet spaces if you need to escape. The showers are always hot, the kitchen always clean, the beds comfortable, the rooms quiet and spacious, and you can always count on good company and a great atmosphere. Global Village is a place that will inspire you to travel more. We have safe off-street parking. Greymouths New World supermarket is just 400 metres away, Recreation Hotel (great west coast pub) 100 metres away, and the aquatic centre 200 metres away. Enjoy free kayaking on lake Karoro (a wetland reserve adjacent to hostel), free bicycles for exploring the local area, a private well-equipped fitness room and sauna, a spa pool in a magical outdoor setting, a pleasant riverside BBQ area, tennis rackets, squash rackets, and golf clubs free for use at the local clubs, as well as fishing gear for sea and river, and Internet access with CD/DVD burners and Wireless access. We the owners and managers at Global Village have many years travel experience and take great pride in being able to offer a quality hostel, and a warm and friendly environment for those discerning globetrotters, who, like ourselves, enjoy meeting fellow travellers. Good memories guaranteed. InterCity Coachlines travels between Nelson and Franz Josef & Fox Glaciers, which stops at Greymouth train station. TranzAlpine scenic train travels to and from Christchurch. From the south, turn left off Highway 6 at Mobil service station/New World supermarket, then right. This is Cowper St. We are 400m along on the left. From the north, continue on Highway 6 bypassing main town centre. Turn right into Franklin Street, just after Fire Station, then left onto Cowper Street. We are 200m along on the right.